When he coaches his first game of consequence at his new job, Mike White will have two more familiar faces in the Texas dugout. It was announced on Monday that junior pitcher Miranda Elish and sophomore utility player Lauren Burke will join UT’s softball program after the semester break. Burke and Elish both played for White at Oregon. 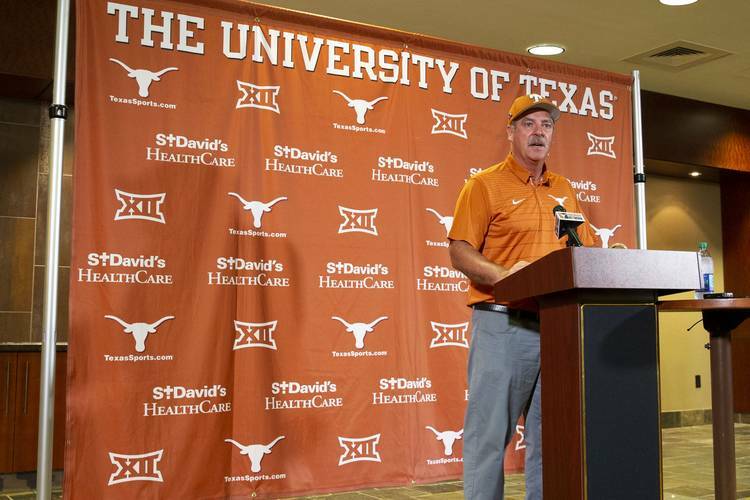 This past June, White was hired by Texas after leading the Ducks for nine seasons. At Texas, Elish and Burke will reunite with White and former Oregon assistants Chelsea Spencer and Kailee Cuico. Texas expects that both players will be eligible for this upcoming season. The right-handed Elish went 37-2 over her two seasons at Oregon. She compiled a 1.42 ERA and was responsible for Oregon’s first-ever seven-inning perfect game. Elish threw a three-hitter against Texas during last season’s non-conference meeting in Mexico. At Texas, Elish joins a pitching staff that boasts all-conference left-hander Brooke Bolinger as its only experienced arm. Burke hit .351 with three home runs during the 2018 season. She mostly served as a designated player and pinch hitter during last year’s postseason.